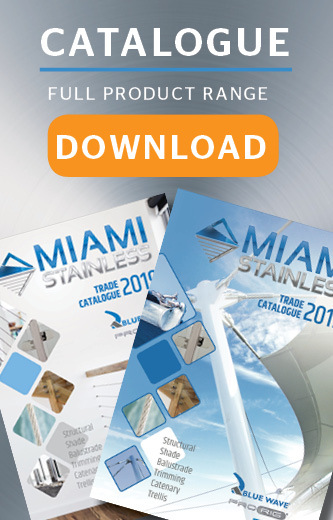 Miami Stainless Dome Nuts are a high quality AISI 316 stainless steel available in a range of metric thread sizes. Miami Stainless Dome Nuts are suited for use with a Swage Stud to cap off a tensioning system or to fasten Eye Nuts to a structure. Dome Nut M10 Stainless Steel AISI 316 Miami Stainless Dome Nuts are high quality AISI 316 stainl..
Dome Nut M12 Stainless Steel AISI 316 Miami Stainless Dome Nuts are high quality AISI 316 stainl..
Dome Nut M16 Stainless Steel AISI 316 Miami Stainless Dome Nuts are high quality AISI 316 stainl..
Dome Nut M20 Stainless Steel AISI 316 Miami Stainless Dome Nuts are high quality AISI 316 stainl..